The information, (including photos, videos, etc. ), was not as easy for me to obtain for this bird as it has been for all of my other Hubs. I will keep researching and trying seek more to add to what I have at the present time. Let me start by telling you that they are in the ‘Family Emberizidae’. This is ‘Subfamily Cardinalinae’, ‘Cardinals, Grosbeaks and Allies’. There are 39 species in this family, chiefly in tropical America. Only ten of those species appear to be in North America. The birds in this family basically have bright colors and conical bills which they use to crush seeds. 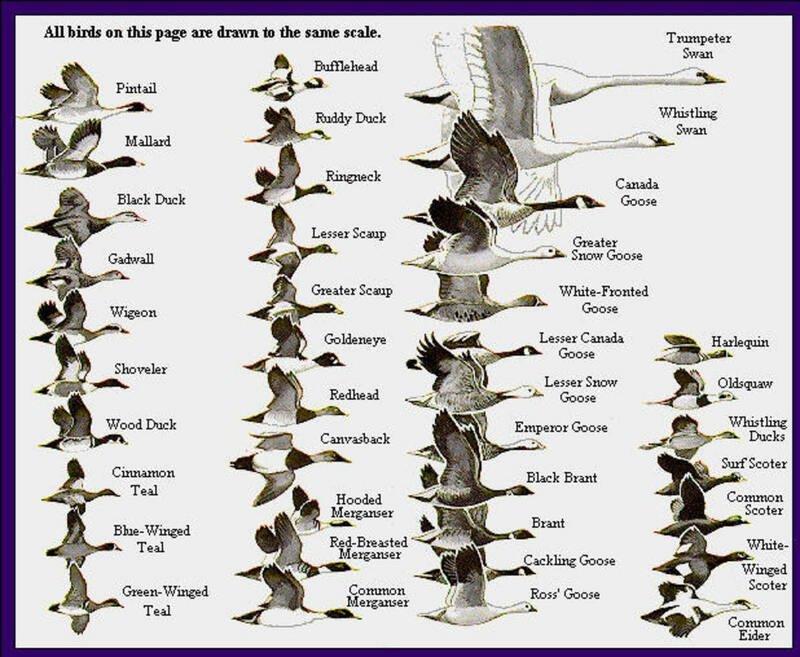 Instead of migrating, some of these birds stay all year and are very territorial but not all of them do. There are some which go to the tropics as soon as the season for breeding is over. The Crimson-collared Grosbeak (Rhodothraupis celaeno) is a grosbeak which is only of average size. 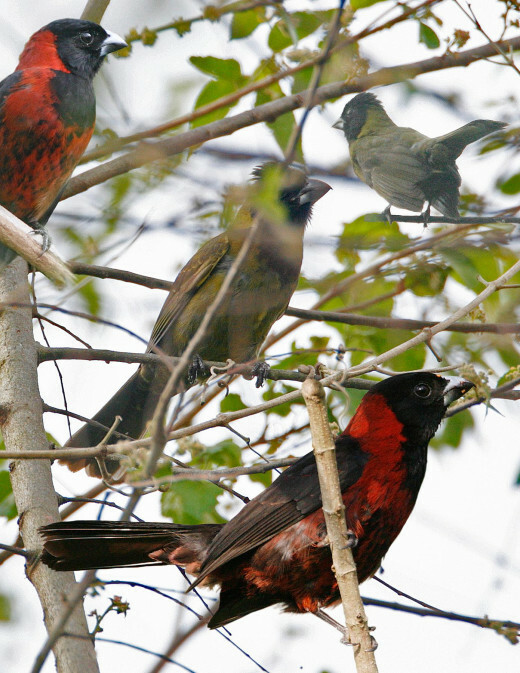 The mature males have black feathers with either a dull red (Sibley 2000) or a pinkish red (Howell and Webb 1995) “collar” on the nape, shoulders and belly (similar to the Crimson-collared Tanager); the belly is speckled with black. The smaller feathers, attached to the large feathers, of the tail are also red. Mature females have a black head and breast like males but green upperparts and yellowish underparts. The beak is black, big and stubby, with the upper mandible jutting roughly horizontal to the forehead. 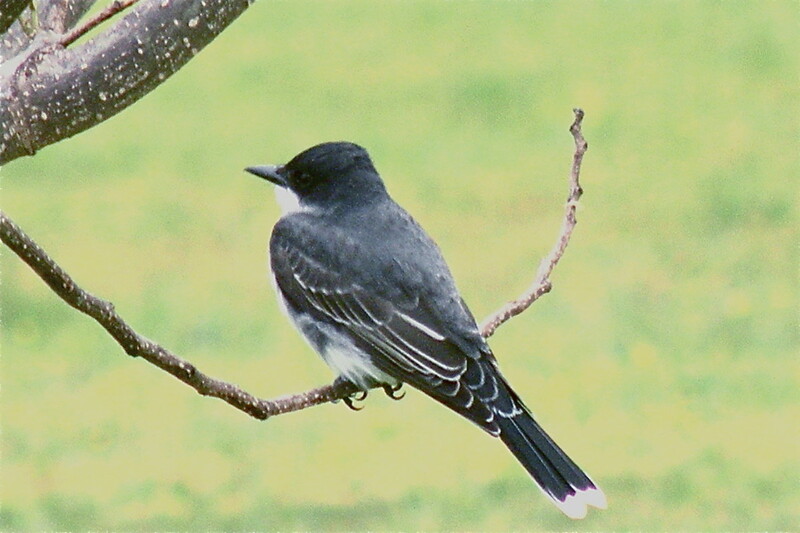 Immature birds are similar to females but have less black. To build the nest, items such as moss and grass, rootlets, strips of large leaves (such as Heliconia**, which has leaves resembling bananas) and twigs are used to make a cup – a bulky cup – for a nest to place the eggs into. **Heliconia Iatispatha – It is a type of plant that is native to southern Mexico (Oaxaca, Tabasco, Chiapas, Campeche) [besides C.A. and parts of northern S.A.]. It is an herb plant which grows up to 4 meters tall. Inflorescence (flower stalk) is erect, it can possibly be up to 45 cm long, with red or orange stalks connecting to green, yellow or orange flowers. 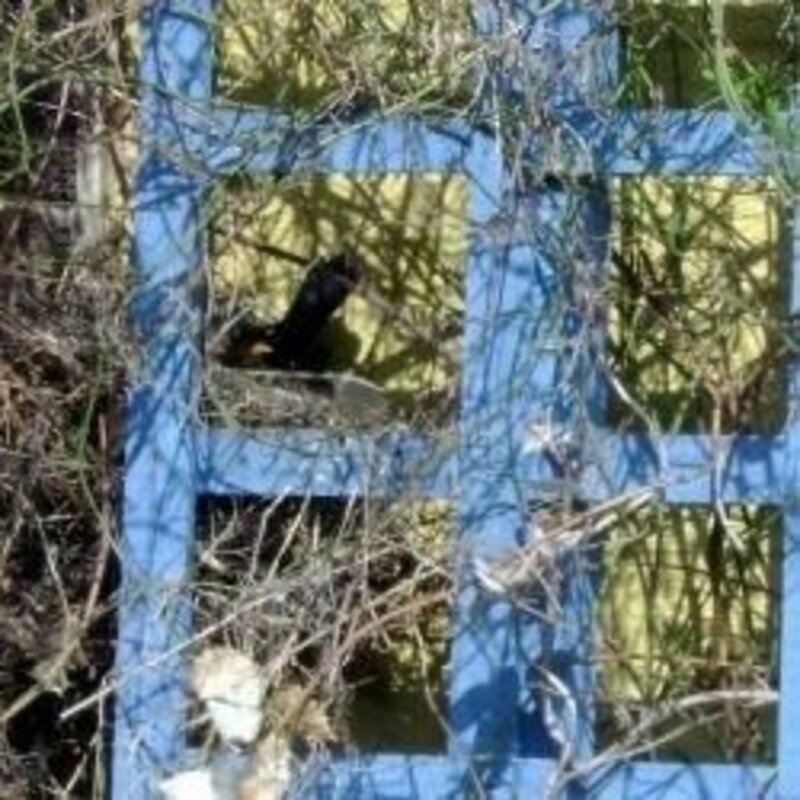 After the nest is made, ahead of time, the female then lays 2 or 3 eggs in the nest. The eggs have a pale blue-gray color to them and they also have brown markings on them. Then the perfect spot at the middle height in a tree or bush is found in which to place the nest, preferably near the edge of a forest. Besides the run-of-the-mill seeds which practically every species of bird has in their diet, this bird also eats a combination of fruits and berries; insects and larvae; and even leaves. One of the berries which they have been noticed eating lately in Texas is named Coyotillo berries. One of the leaves from Mexico which they dine on is the coral bean leaf. Do you live where this bird does? The Crimson-collared Grosbeak, which resides in either a humid or a partly dry forest and growth just above the ground, from low to high levels, occasionally prowls on the ground. It can appear one at a time, with its mate, or both by itself and in pairs at the same time. These birds inhabit what is called a thorn forest that has scrubby vegetation. A wide section of southwestern North America is covered by this scrubby vegetation. It is distinct that thorn forests will be found in areas which are subtropical and warm temperate and that have a rainfall averaging, seasonally, 9.8 to 19.7 in. (200 to 500 meters). Frequently, the trees do not grow taller than 33 feet (10 meters) in height, generally balancing at 23 to 26 feet tall (7 to 8 meters). The condition of the thorn forest may slowly change into savanna** woodland as the rainfall increases; or the savanna may change into desert as the climate becomes drier. **A savanna is a grassland ecosystem where trees have enough space between them in order to keep the canopy (leaves at the tops of the trees) from closing. When looking for it, the bird is principally witnessed in northeastern Mexico from central Nuevo Leo′n and central Tamaulipas south to northern Veracruz; though at times it wanders into the Rio Grande Valley of southern Texas. When that happens for the most part, it usually happens in winter. This grosbeak has a song which is a fine-tuned melody, similar to a warble, at the end it usually ascends. When you hear it make calls they sound like a well-tuned flute; only think of an ‘s’ sound which is descending, before you hear the flute. 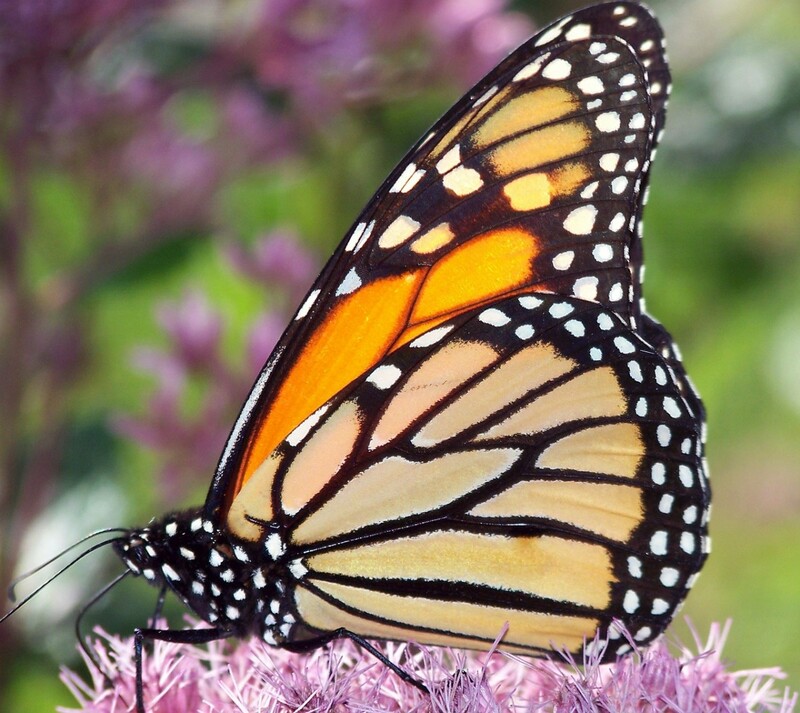 Their air travel is very brief since the time of their flights is reduced; alternately, they produce rapid wing beats and then pull their wings to their sides. This grosbeak has basically 20,000 to 50,000 inhabitants of a rather small area. In spite of this, they are not presumed to be in a decline or under any pressure and have been given a conservation rating of Least Concern by the IUCN. 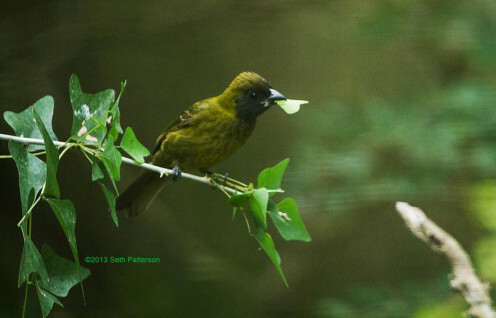 The Crimson-collared Grosbeak has both insufficiently detailed life history and environmental conditions. Mangoes, loquat, oranges, and chinaberry are an assortment of the fruit which they have been witnessed to eating. A “gross” is a name that a bunch of grosbeaks is relatively named. Thank you Jim. Maybe you have not seen one yet because you live too far north, but there is a chance that there can be a stray, or a few strays, in the future. Right now they live mostly in Mexico and occasionally in Texas. Thank you for reading and I hope that the rest of your weekend is nice. What a beautiful bird. I've never seen one. Yes Suhail, I hear about birds that are showing up out of their range probably because of global warming and such. It just may happen. There is always a chance that this bird may start showing up here as temperatures become warmer due to climate change and as more and more people put backyard feeders on. Thank you Suhail. I am sorry that you do not have it in Canada, perhaps I can eventually find one similar to it up there. An awesome article on a beautiful bird! Alas, we don't have it up here in Canada. I am glad that you liked this article Deb. Right now I am working on an article/Hub about a bird who's family is all over the country. All over the world really, but right now I am doing here. 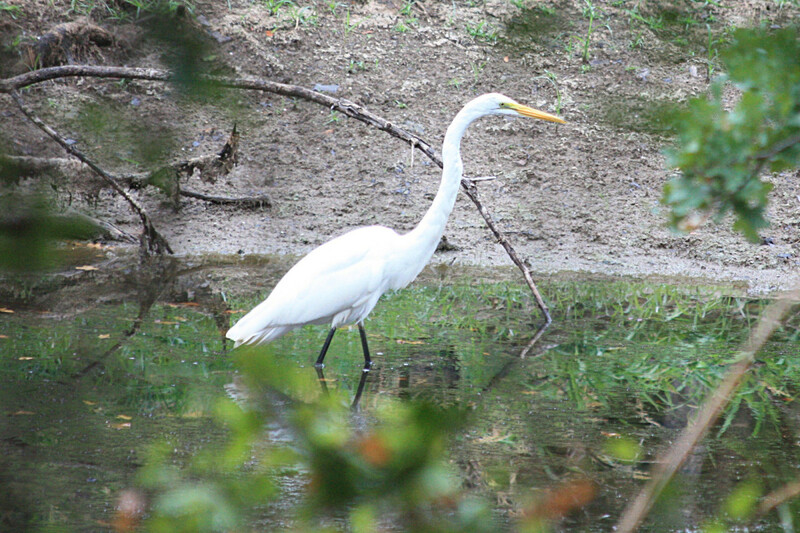 Beautiful birds like these will tend to migrate northward more. Irruptions have been occurring a great deal lately. Is it a bad thing? No, as it helps to ensure the survival of these precious creatures. Climate plays a large part in these events, and this has been going on for a good thirty years. If an animals food heads north, it will do the same. I have a study going on at this point. Nice article, and I certainly hope to see more about the birds of the southern ranges. Yes, I thought that it was. I do love birds, I have watched and studied them for years. Thank you for saying that it was interesting. Thank you very much Jackie, I am glad that you liked it. Actually, I chose to write about it because it was in my group of grosbeaks. Being last on the list, I found out there was hardly any info on it. I have to keep checking. A really impressive bird, Kevin, I can see why you chose it to write about. One would never forget if we had ever seen this bird. Nothing fancy about him yet an aristocratic look. Up and sharing so others might get a look at him. 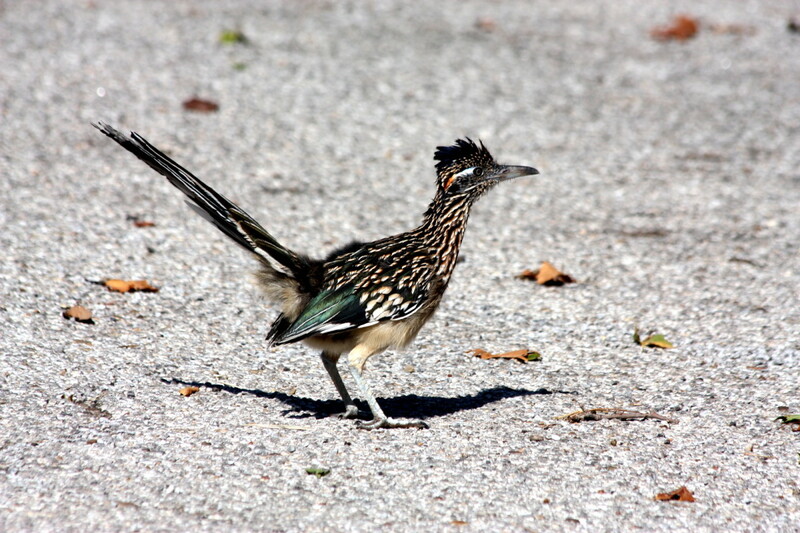 Lucky you, I saw a Roadrunner only once when I was in AZ I did not get a picture either. I watched the video and I did enjoy it but, unless I missed something, if anything I would add it to the Rose-breasted Grosbeak Hub, only I have it already. Thanks though. I approve of your comments on the Hub, the bird and your offer to help. I hope that you snap a picture of your Roadrunner! Kevin, I live in Texas but have not seen this bird, I like Ruby love birds and have feeders and bird baths, I have a Roadrunner who visits every morning, but did not get a picture yet. www.youtube.com/watch?v=NixrHvecZ8c I think you will find this interesting and may want to add it to this hub. I really enjoyed reading about this beautiful bird. You did an amazing job on the research. Thank you for your votes Suzanne. I tried, and still am trying, to find an actual sound for that one like my others but this one has so little info on it. If I find it I will try to let you know. Some very useful information on grosbeaks in this hub! I think I'd like the sound of their birdsong, if it is a bit like a flute. So many amazing species in this world, it's great to find out more about them. Voted useful and up! I will try to do a species in your area, if I have not already. You are welcome for the lowdown on the bird, and I thank you for stopping by. Alas, we don't have them here in Washington, but I love to learn about different species, so thank you for this great information. Why thank you so much for the votes Faith. I missed Texas, I came from AZ straight to here, maybe we drove through it. I am pleased that you liked the bird and the Hub. Excellent hub, Kevin. What a beautiful and unique bird. I have never seen one, although I did live in Ft. Worth, Texas for a couple of years. I wished I had seen one before. They are so striking. I learned a lot from your informative hub here. I had to do this bird because it was the last grosbeak that I had listed on a Hub a while ago, sorry. The detailed history there were few facts about this bird. You are welcome. I thank you for Tweeting it. Thank so much for your approval from over there Jo. Keep watching, I will be bringing you others. I also appreciate your vote and share. I tried to make it as good as I could and I still intend to get more information ASAP. It is a beautiful bird and I am surprised that they do not have more data about it. Thank you for your votes and share Eiddwen! Since the bird is from Mexico, I will say 'Gracias' Phyllis (lol - I could not resist). Yes, it is a pretty bird. I am glad that you enjoyed it, I enjoyed your comments. I know a bird watcher would want all of the info that they could find on this bird. It was hard to find. Thank you for your vote and share Frank. I, too, thought it was an amazing bird when I wrote this and I appreciate your visit Jamie. An interesting and beautiful hub, we don't all have the opportunity to see such wonderful creatures, so thanks for bringing them to us here. Voting up and awesome. A great hub Kevin and what a beautiful bird . I really knew nothing at all about then so all this was new to me and you are indeed a great teacher. Once again I vote up, across and share. Here's wishing you a wonderful day. Very nice, interesting hub, Kevin. I found another picture for you on Wikipedia under Crimson-collared grosbeak. It is such a pretty bird. I have never seen one in person, or in bird. I enjoyed reading your hub.